A 17-year-old girl was stripped and had her head shaved by passengers on the Howrah-Jodhpur Express in India after she was caught stealing a bag. 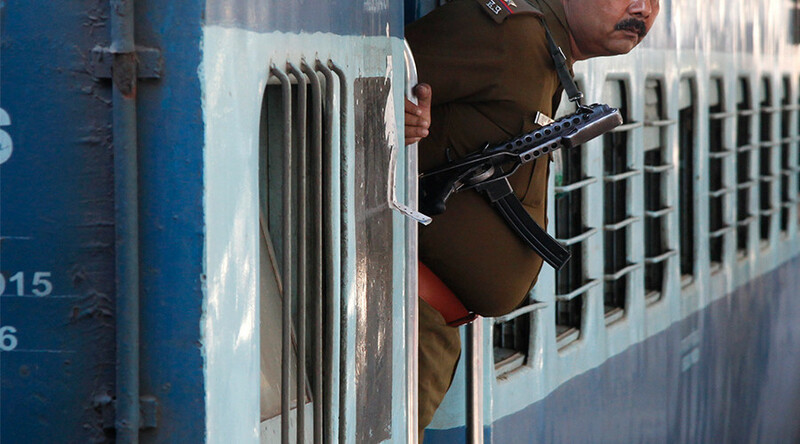 Government Railway Police (GRP) filed complaints passengers made against the girl, along with one from the Ticket Train Examiner (TTE) who made complaints against the six passengers. "Passengers verbally abused me,” Ticket Train Examiner (TTE) S.K Sharma said. “They accused me of being her associate when I asked them to hand over the girl to GRP. It was sheer barbarism, the way they treated the poor child. Women stripped her, while a few men assaulted her. They cut her hair." The passengers have been booked for “voluntarily causing hurt to deter public servant from his duty,” as well as assault and criminal intimidation. "The girl was caught with a bag, but passengers took the law into their own hands and cut off her hair,” Lalit Tyagi, an Agra station officer said. “She was also strip-searched. They misbehaved with the TTE, too, who came to her rescue." The girl was sent to judicial custody on Tuesday after facing court. The girl’s father has claimed his daughter was mentally unstable, after developing a brain tumor. "I told the judge that she has a brain tumour and is being treated at the Saifai government hospital,” he said. “She became mentally unstable because of that, but the judge did not pardon her." The family claimed the court had ignored her age as written on her school leaving certificate and tried her as a 19 year old. According to her father, she had left her home on Sunday after her parents said they would not give her money to visit a local fair.